Picture the scenario, you urgently need emergency services, and you don't know where you are, or what number to dial. You're probably thinking "that won't happen". Well, it's more likely than you might think. Apart from not being in your home country (is the number 999, 911, 177, 112... or something else), how about not knowing exactly where you are. This is a great App for allowing you to inform the emergency services, without knowing the number, or your location. The App by asking you to accept the terms of service; hardly surprising, given its serious application. Next up is allowing location services to work with the App (it would obviously be useless without this information). You then need to enter your mobile number. That is all there is to setting up the App. There is a Test function which shows you how it works. By scrolling the screen you will see the co-ordinates and address for your current location. 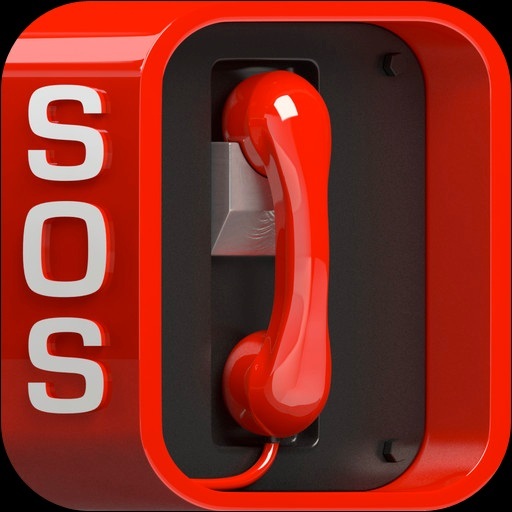 When used in earnest, the App automatically dials the correct emergency number for the country in which you are, and sends the message "Help! Go to www.echo112.com to find me". The operator will then confirm the message. The App is free and has absolutely no advertising distraction. In my view, as the App exists, you should have it; it really is that simple. As an example of how it could have worked for me... I was travelling on the motorway late at night; it was dark (hardly surprising). I suddenly saw headlights rushing towards me, on my carriageway. Fortunately an accident was avoided and I immediately called the emergency services to warn other road users. I was so shocked by what had just happened that I was not even sure of exactly where I was on the motorway. If echo112 had existed, it would have made everyone's life easier. This system has been field tested by the Swiss Emergency services for the last two years and is now being made available to everyone. Athough I would normally warn of the potential pitfalls of allowing location services, in this instance, go for it. The only decision: which corner of your home screen. You can get echo112 here and support for the App here. The developer advises that there has been an update to version 1.4 of the App. - Emergency lock screen: display your important medical information on your phone lock screen. In case of an accident, information will be available to rescuers, even if the phone is locked.